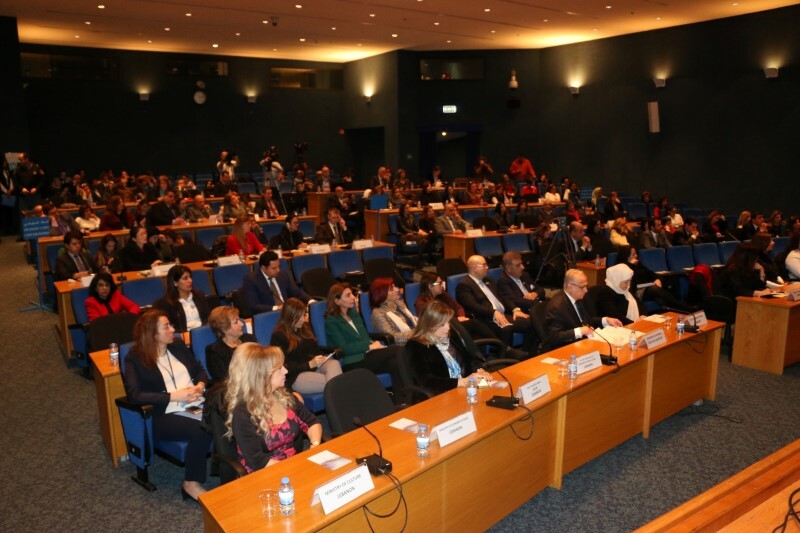 February 20th marks “World Day of Social Justice”, and the UN Economic and Social Commission for Western Asia (ESCWA) held a special event in Beirut celebrating equality and justice in the work of Kahlil Gibran. 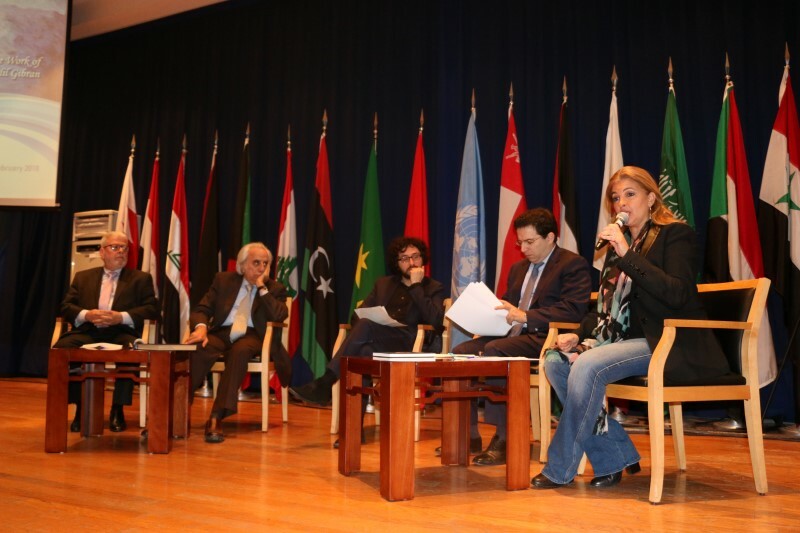 Kahlil Gibran Scholar and Literary critic and contributing writer to Kahlilgibran.com Francesco Medici was in attendance as a guest panelist along with other notables, Dr Henri Zhiegb; Lebanese Poet, Dr Tarek Chidiac; President of the Gibran National Committee and Alexander Najjar; Author. The stage was set for debate as the two-panel discussions highlighted how equality and justice feature in both the literature and artwork of the renowned writer. 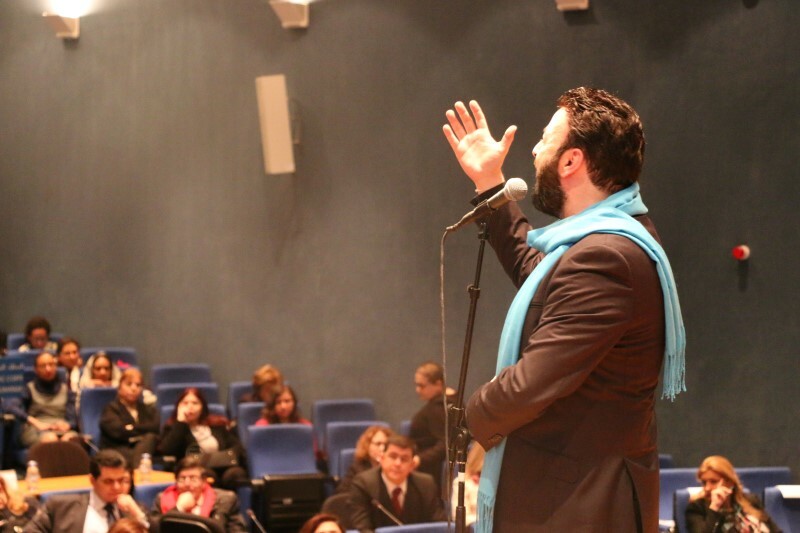 Tenor Gabriel Abdel Nour repertoire highlighting the meaningful messages about equality and justice entertained members of the diplomatic community, government representatives, and many artists and socioeconomic experts. Mr. Medici, at the last International Gibran Conference (January 4-6, 2018, Beirut) you presented a paper on your discoveries about Gibran: unknown or rare material relating not only to his work but also his biography. Did you find any significant episode in his life that relates to the theme of this special world day? I thank you for this question because I think that today we are celebrating not only Gibran the writer, artist, philosopher, activist, and social reformer but also Gibran the man, who lived consistently with his principles. 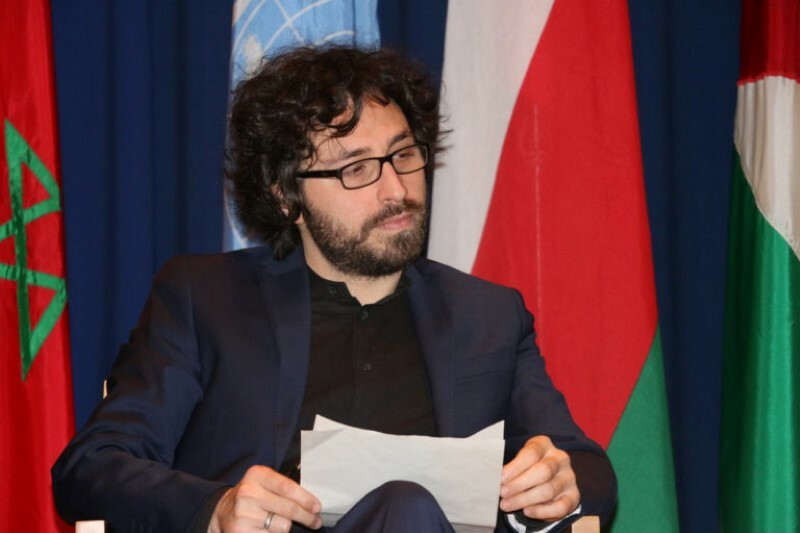 There is a little known and touching anecdote about him, that I would like to share with you, told by Yusuf Nahas, a friend and colleague of his at the office of the Arabic language newspaper Al-Mohajer (The Emigrant). One hot, humid day, Gibran and I went out to lunch at a restaurant in Battery Place. A crew of laborers was engaged in digging up the cobblestones of Washington Street and repaving it with heavy bricks. Among the group were a number of elderly men; one, in particular, must have been in his late seventies. He would stop, gasp, then withdraw a red bandana out of his pants pocket to mop up perspiration covering his deeply wrinkled face, then stoop down to carry his next load. I never can divorce myself from the criminal. When I read of a forgery, I feel that I am the forger, and of a murder that I, too, have committed murder. If one of us does a thing, we all do it. What collective humanity does is done by each of us. What is in one of us is in all of us. The wrong-doer cannot do wrong without the hidden will of you all. And when one of you falls down he falls for those behind him, a caution against the stumbling stone. Ay, and he falls for those ahead of him, who though faster and surer of the foot, yet removed not the stumbling stone. Nobody is lower, nobody is higher. Nobody is a sinner, nobody is a saint. We are all one, single whole. If somebody commits a wrong, we all have committed it. In his writings, Gibran appears to prefer to denounce what is unjust rather than to show us the path of justice. Why? And how does he perceive injustice? Say not, “I have found the truth,” but rather, “I have found a truth”. Here Gibran is repeating that we are a connected whole. Only one who acts just to take care of himself, out of this one organic unity, can commit injustice. By the way, for Gibran, the very idea of judging others is absolutely irreligious. Who are you to judge? You don’t have the eyes to look into the beings of people. All that you can see is their act. But you cannot see their consciousness, and so your judgment is not only superficial but inhuman. Judging is nothing but a desire to condemn or to praise. We condemn that which we ourselves want to do, but we are afraid of the consequences. This is not justice, this is simply revenged in the name of justice. And we praise that which we wish to become, but we are not so able to be. If you look at yourself, your judgments show much more about you than about the judged. A man of true understanding is without judgment. On greater pirates we bestow. Who kills the spirit he goes free. In other words, the whole system of human law is fallacious. If somebody kills a body, only then the law can see it. But if somebody is slain in the spirit the law has no way to find out. And everybody, at least once, has been murdered in the spirit.